The Boxray analyzers works with the energy dispersive system technology, EDXRF. The Boxray analyzers detector builds a spectrum from the radiation coming from the sample. 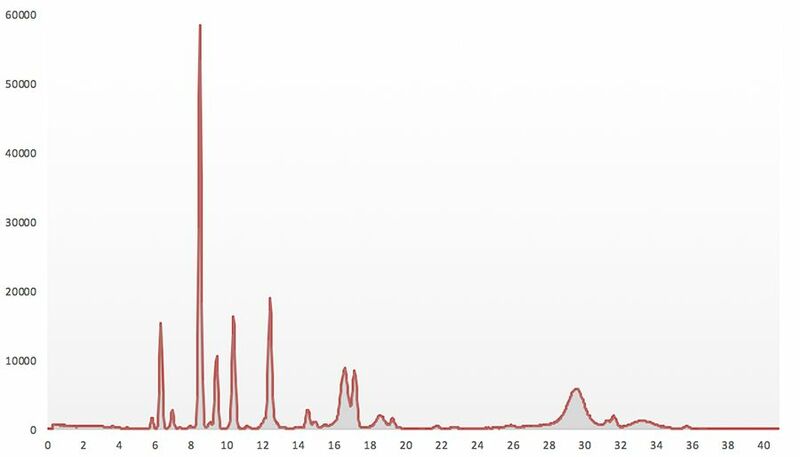 Each peak in the spectrum represents a specific element but there is more to read out from the spectrum than this. The backscatter seen in the spectrum is used to calculate percent solid material in the sample. A figure used for both internal calculations and supplied to the plant control room. The height of each peak is proportional to the grade of the element in the sample. However the peaks always have a level of background radiation that they are sitting on top of. With competing wavelength dispersive systems there is no way of determining how much of the signal that is true and how much is background. The Boxray analyzers use the areas surrounding the peak to determine the level of background. Then the level of background radiation is subtracted from the peaks original height leaving only the true height for grade calculations. The grade of an element is more exactly calculated by weighing the signal from the element itself. The percent solids and the peaks of another four elements for maximum accuracy. The approach used in the Boxray analyzer software is more sophisticated than that of competing systems that use less sophisticated models.